At more than 1.600 metres above sea-level, this JUFA alpine resort is located in Styria’s highest skiing village, therefore, ideal for a relaxing family holiday – in the summer as in the winter. With its diversity and location, Schladming-Dachstein is a perfect holiday region! During summer, active families and nature enthusiasts unpack their hiking and mountain-climbing shoes and test their archery or climbing skills. Traditional wellness can be found at the Kneip spots and on a herb trail in the middle of nature. Sufferers of allergies can finally breathe a sigh of relief in the healthy high mountain climate which even relieves infectious lung and respiratory diseases. The number one priority for relaxed winter sports lovers is to soak up the sun and alpine mountain air and consciously enjoy the valley slopes. The small, but chique ski region Planneralm also offers attractive and well-managed facilities: for example, glass-floor elevator, planner jet and ski-lift or the children’s land with rope lift and two conveyor belts. Skiing, snowboarding and tobogganing on the well-prepared natural snow slopes gives you a healthy natural appetite! And as hearty meals are known to keep body and soul together, a stop at one of the mountain taverns is especially worthwhile. Our alpine resort offers ideal conditions to families and groups. An indoor play area, a mini gym, multi-functional rooms, an E-Bike rental and an in-house spa, such as herbs- and Finnish sauna, enable any schedule – from a seminar to an evening get-together. Enjoy this evening mountain panorama in the café on our sun terrace with family and friends – the clear starry sky will enchant you! The pine distillery is a local attraction: The valuable pine oil has been produced in the “world’s highest-located natural pharmacy” for the last 50 years. From the slope or hiking route directly to the guided tour and inhale essential oils in the fragrance room – a sensual way to end the day during any hiking and skiing holiday! The JUFA hotel’s convenient location on the Planneralm ensures that guests are able to access a range of fantastic leisure activities all year round. Travelling from Salzburg: Villach on the A10 to Eben, continue on the B320 via Schladming to Trautenfels, via Irdning on the B75 to Donnersbach. Continue from here on the Planneralmstrasse until you reach the Planneralm Erlebniswelt. Travelling from Linz, Graz, Vienna: on the A9 to Liezen, on the B320 via Stainach to Trautenfels, via Irdning on the B75 to Donnersbach and continue on the Planneralmstrasse to the Planneralm. Selzthal Rail Hub (Express train) connections in all directions. Other train stations: Stainach-Irdning (inter-city stop) and Wörschach.For more detailed information on how to reach us by other forms of public transport, please refer to the ÖBB (Austrian Railways) and WESTbahn websites. JUFA hotels are not only a popular holiday destination, but also provide an expert service for businesses wishing to hold seminars, training events, team meetings or workshops that are run over several days. Like the many other JUFA hotels, the JUFA Hotel Planneralm – Alpin-Resort*** is a perfect venue for your seminars, conferences and events. You can make use of versatile seminar room (85m²) at the JUFA Planneralm – Alpin-Resort***. During the Summer, nature lovers and active holidaymakers will find all that their hearts’ desire at the Planneralm, including hiking trails, mountaineering tours, an archery course, climbing rocks and many other opportunities to take in the fresh allergen-free alpine air. The Planneralm is a small and very accessible ski resort. If offers fantastic facilities for skiers of all ages, snowboarders, winter tourers and tobogganing fans. This idyllic skiing and hiking paradise, located 2.000 metres above sea level in the heart of a magnificent mountain landscape, can be quickly and conveniently accessed by both young and old via a range of lifts, including the Plannereck chair lift, the Plannerjet and Gläserboden high speed chair lifts, the small Rotbühel t-bar lift and the children’s ski area Kinderland is equipped with a rope tow lift and two conveyor lifts. Snowboarders and freestylers in particular will be able to enjoy fantastic conditions at the Snowvalley Projekt. Hours of fun and action can be enjoyed at this well-established park, which includes a kicker line, a corner and exciting freeride lines. For more information, please contact the JUFA Hotel directly. Our team will be more than happy to provide you with all the information you need! A strong team spirit and a positive working atmosphere cannot be taken for granted. However, the ability to develop trusting relationships can be learned. 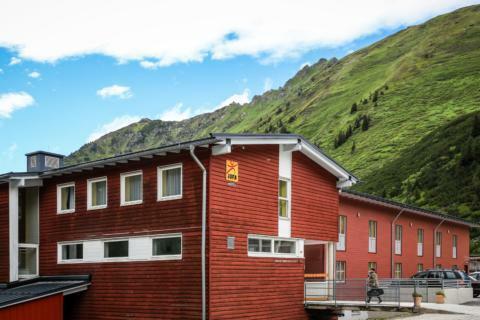 The JUFA Hotel Planneralm – Alpin-Resort*** has the perfect facilities to suit your particular requirements, whether you are supervising a programme for school-aged children or running training activities for an association or a company. "Preis-Leistungsverhältnis passt wir kommen wiedwie"
"Tolles Hotel für aktive Familien und Gruppen"
"Jederzeit wieder aber ohne Abendessen! " The hotel manager Stephanie Ley and her team are available to answer your questions at any time! 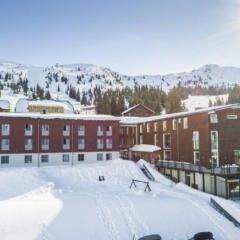 Im interested in the offer "JUFA Hotel Planneralm – Alpin-Resort***" in the .